comments and commits are most welcome. learn from historical data, recognize pattern/relationship within data, and then make predictions. basic steps are similar as the graph above. measurable property/characteristic of a phenomenon being observed [wiki]. The age of a person, etc. 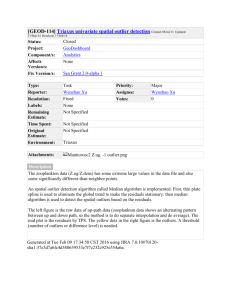 Model: the algorithm applied to a dataset, complete with its settings (its parameters). Y=4.5x+0.8, etc. We want the model that best captures the relationship between features and the target. function, which can either be maximized by penalizing bad actions and/or rewarding good actions. Selfdriving, etc. 'variables' because the value they take may vary (and it usually does) in a population. 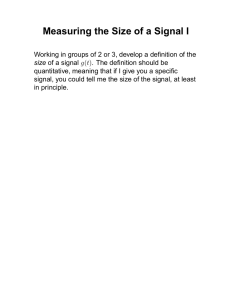 Deﬁnition: Identify the data types of each variable. account. We may have to convert data types after certain steps of data cleaning. 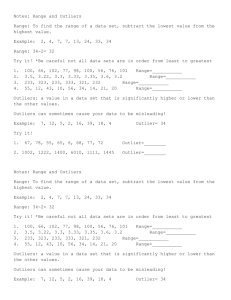 Descriptive statistics on one single variable. 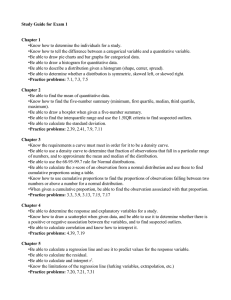 Descriptive statistics between two or more variables. multiple variables at the same time and to highlight the most correlated variables in a data table. matrix are represented as colors. Deﬁnition: no value is stored in a certain observation within a variable. A study on the impact of missing data on diﬀerent ML algorithm can be found here. It is important to understand the mechanisms by which missing ﬁelds are introduced in a dataset. were ﬁrst introduced by Rubin . on available information (other variables in the dataset), but not on the variable itself. from including gender to control the bias in weight for the missing observations. study (and 'discomfort' is not measured). In this situation, data sample is biased if we drop those missing cases. business logic behind that variable. there's signiﬁcant diﬀerences. If there is, we can assume that missing is not completed at random. 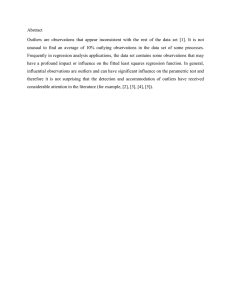 unobserved predictors (lurking variables) are unobserved. simultaneously, so that we both catch the value of missingness and obtain a complete dataset. them and explain to the business team. Note: Outliers, depending on the context, either deserve special attention or should be completely ignored. equally as the remaining values, regardless of its magnitude. advanced methods in this ﬁeld. underlying context, rather than the number itself. impute outliers with arbitrary value. Note: A detailed guide of doing windsorization can be found here. could be the right or the wrong way. It’s important to investigate the nature of the outlier before deciding. Deﬁnition: Categorical variable with some of its values appear only seldomly. therefore need particular attention. For example, a rare value in transaction may denote fraudulent. Rare values in categorical variables tend to cause over-ﬁtting, particularly in tree based methods. A big number of infrequent labels adds noise, with little information, therefore causing over-ﬁtting. unlikely to bring so much noise. labels within a variable is known as high cardinality. making the machine learning models prone to over-ﬁt. causing algorithms to over-ﬁt the training set. leaving algorithm unable to perform a calculation over the new observation. equivalent to method in section 2.3.2. If range of inputs varies, in some algorithms, object functions will not work properly. 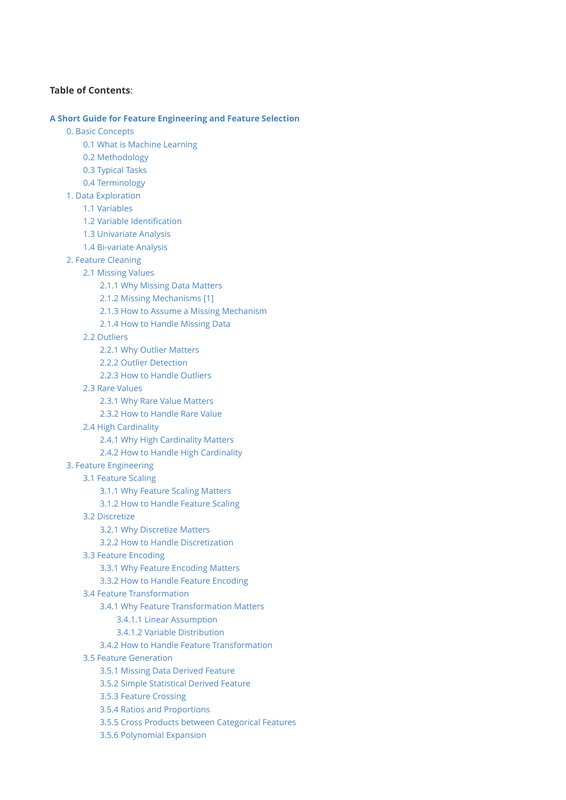 optimization algorithm used in logistic regression, SVMs, neural networks etc. the scale of the feature does not count. cleaning and should be done beforehand. If your feature is not Gaussian like, say, has a skewed distribution or has outliers, Normalization Standardization is not a good choice as it will compress most data to a narrow range. deep learning network prefer input on a 0-1 scale so this is a good choice. 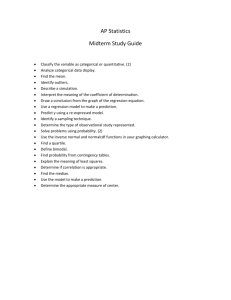 A comparison of the three methods when facing skewed variables can be found here. An in-depth study of feature scaling can be found here. creating a set of contiguous intervals that spans the range of the variable's values. diﬀerent methods and compare the model performance. 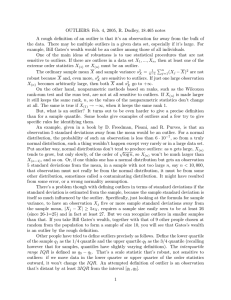 Some literature reviews on feature discretization can be found here1, here2, here3. incorporate the encoding process within. of Evidence of each label. are on the same scale. multicollinearity. This is true for any algorithms that look at all features at the same time during training. of binary variable to select the best split. feature will be weaker than the original feature as they have been broken into many pieces. An in-detail intro to WOE can be found here. diﬀerent predictor variable X1, X2, ... Xn. It assumes that there is a linear relationship between X(s) and Y. Mathematically, we can write this linear relationship as Y ≈ β0 + β1X1 + β2X2 + ... + βnXn. better oﬀ trying another machine learning model that does not make such assumption. transformation/discretization may help create the relationship, though it cannot guarantee a better result. Normality assumption means that every variable X should follow a Gaussian distribution. the dependent variable (Y)) is the same across all values of the independent variables. homoscedastic or Gaussian, when in reality it is not) may result in poor model performance. methods and PCA do not make any assumption over the distribution of the independent variables. However, in many occasions the model performance may beneﬁt from a "Gaussian-like" distribution. "spread" over a greater range. In the situations above, transformation of the original variable can help give the variable more of a bellshape of the Gaussian distribution. 1/x. Warning that x should not be 0.
range of higher magnitudes, which helps to make the skewed distribution as normal-like as possible. Square root transformation does a similar thing in this sense. helps. Mathematically, the Box-Cox transform function can be denoted as follows. values. It also reduces the impact of (marginal) outliers: this is therefore a robust preprocessing scheme. same scale but renders variables measured at diﬀerent scales more directly comparable. over the theoretical quantiles) after transformation. from various distributions to a normal distribution. use of the power transform is then recommended. missing value on raw feature with value 0/1. average calling duration, monthly average calling duration, max calling duration, etc. used again to create more features. features can be found here. Personally I haven't used it in practice. You may try and discover if it can be of industry usage. than just using absolute number of card sold in the branch. combination denotes a synergy between the information contained by the corresponding values of A and B.
particularly refers to the crossing between 2 categorical features. X1X2X3} with a degree of 2.
algorithms such as logistic regression. The idea of using tree algorithm to generate new features is ﬁrst introduced by Facebook in this paper. much more data to be able to extract high quality result. will only make the learning process overwhelmed and easy to cause overﬁtting. We should keep in mind that diﬀerent feature subsets render optimal performance for diﬀerent algorithms. As a result, ﬁlter methods are suited for a ﬁrst step quick screen and removal of irrelevant features. feature contributes to making the correct prediction on Y.
predict power. Personally I only use variance and correlation to ﬁlter some absolutely unnecessary features. the dataset contains too many samples. does and too many features hurt model interpretability. So it's always better to reduce correlated features. computation algorithms such as genetic, and Simulated annealing. produce the best performing algorithm based on the same pre-set criteria. 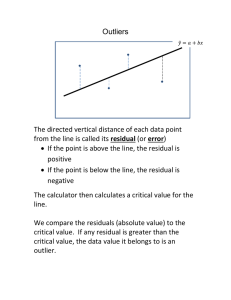 The pre-set criteria can be the roc_auc for classiﬁcation and the r squared for regression for example. There is a special package for python that implements this type of feature selection: mlxtend. less likely to be overﬁtting. coeﬃcients to zero. Therefore, that feature can be removed from the model. features. Keep in mind that increasing the penalization will increase the number of features removed. even important features, or too low and then not remove non-important features. the performance of the algorithm and then realize that you need to decrease the regularization. tree decision. In other words, it is easy to compute how much each variable is contributing to the decision. de-correlated and therefore less prone to over-ﬁtting. feature is derived by how "pure" each of the buckets is. across trees to determine the ﬁnal importance of the variable. importance would be if the tree was built without correlated counterparts. no eﬀect on the model performance metric we are assessing. tree importance, or LASSO / Ridge, or the linear / logistic regression coeﬃcients. 3. Calculate a performance metric of your choice: roc-auc, mse, rmse, accuracy. should be kept. Otherwise, we can remove that feature. models like embedded methods so it's called hybrid. backward feature selection removes all the features at each step of selection. will be selected, and vice versa. importance attributed to the feature itself, should the tree be built without the correlated counterparts. any feature from previous rounds. 4. Calculate a performance metric of your choice: roc-auc, mse, rmse, accuracy. features ﬁrst in order to determine which one to add, so it's faster than wrappers. not because your model really has a good generalizability but it uses information from the test data. the models, people may easily forget to do the same during the feature engineering & selection process. 2. Rubin, D. B. (1976). 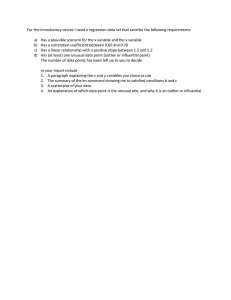 Inference and missing data. Biometrika 63(3): 581-592. 3. D. Hawkins. Identiﬁcation of Outliers, Chapman and Hall , 1980.